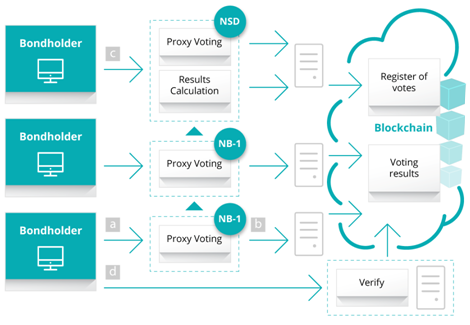 The National Settlement Depository (NSD), Russia’s central securities depository, has developed and successfully tested an e-proxy voting system running on a distributed ledger built with the NXT distributed cryptographic platform. The project's open-source code is available on GitHub. 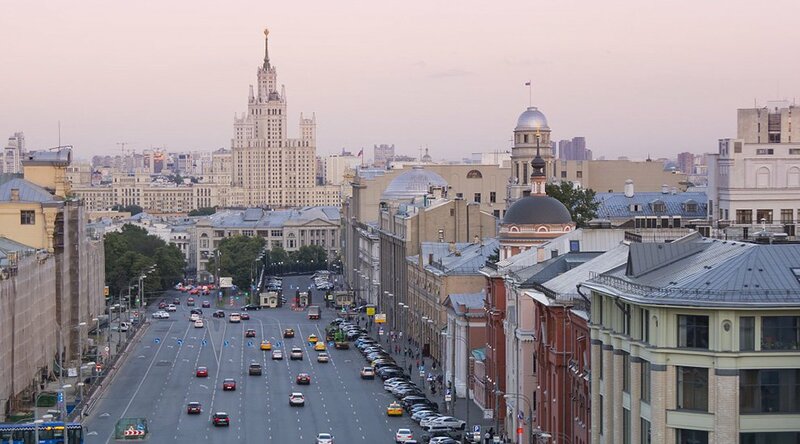 The NSD, a member of the Moscow Exchange, is a Russian nonbanking credit organization, Russia’s central depository and a professional securities market player. The organization provides depository, banking settlement and relevant services to market players. “Over the past ten years, the global financial infrastructure has faced the challenges that make us review the approaches to reliability, security and performance of information systems,” said Eddie Astanin, chairman of the executive board at NSD. “It is obvious for us that ignoring the rapid development of fintech and upgrading the outdated platforms could hinder the stable development of the Russian financial system. Fortunately, Russian specialists are among the most experienced in the global fintech industry, and we have proven this fact by implementing a fully functional prototype of e-proxy voting system based on blockchain. After testing blockchain for bondholder meetings, we can extend the use of this technology to other business areas of NSD." E-proxy voting is an innovative technology for corporate actions processing that provides for electronic interaction between securities holders and issuers for the purpose of exchanging information and documents. E-proxy technology was introduced at NSD in August 2014. In April 2015, NSD upgraded the technology, bringing it in line with global ISO standards. In April 2016, a blockchain-based prototype of e-proxy voting was successfully tested for bondholder meetings. "After our work group analyzed the use of blockchain in several areas of NSD activities, we opted for the automation of the voting process at the annual securities holders meetings,” said Sergey Putyatinskiy, IT Director at NSD. “Over the period of four months, we managed to develop a working prototype of the blockchain-based e-proxy voting system that has no analogs in the world. During the testing process, we reached a submission speed of 80 voting instructions per second. We are currently aiming to increase the system's capacity and to enable the support of new voting types. Our next step would be to subject our new prototype to legal and cryptographic expert evaluation, which will give us a more definite idea whether the prototype is suited for real voting." The NSD has developed the e-voting system in partnership with DSX Technologies, a distributed ledger technology company based in the U.K., operating a technology stack that enables clients to prototype, test and implement complex and scalable blockchain solutions securely and in the minimum timeframe. The company, which has developed and operates an FCA-regulated environment to trade and manage digital currencies, sees big opportunities in building customized distributed ledger solutions that establish trust, accountability and transparency while streamlining business processes. Bitcoin Magazine reached out to Alex Yakovlev, head of decentralized solutions at NSD, and Mike Rymanov, founder and CEO of DSX Technologies, to find out more about their innovative e-voting system. Yakovlev added that the NSD received several expressions of interest to test the e-voting system from the central securities depositories of other Commonwealth of Independent States (CIS) countries, as well as from some major banks. “It is an open-sourced solution and we're open for discussions about making cooperative projects based on our results,” said Yakovlev. Bondholder can verify whether the votes have been counted correctly. Rymanov is persuaded that e-proxy voting could find applications in wider contexts, potentially including political elections. 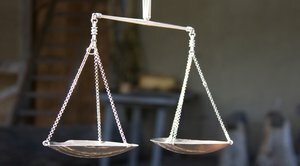 Rymanov explained that the NSD’s e-proxy voting proof-of-concept (PoC) project specifications required setting up a private permissioned blockchain where every node participating in the network is known, and included a number of specific challenges related to processing capacity and permission-based access to the data. According to Rymanov, other blockchain technologies such as Bitcoin and Ethereum couldn’t meet the project’s requirements with an out-of-the-box solution, which motivated the choice of the NXT platform. Rymanov explained that DSX Technologies won the NSD contract in February.